According to an observational study at Tel Aviv University, Israel, cannabis may have a positive effect on disease activity in Crohn's disease, a chronic inflammatory bowel disease. 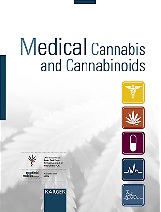 In this study disease activity, use of medication, need for surgery, and hospitalization before and after cannabis use were examined in 30 patients. Disease activity was assessed by the Harvey Bradshaw index for Crohn's disease. The indication for cannabis use was lack of response to conventional treatment in 21 patients and chronic intractable pain in 6. Another four patients used cannabis for recreational purposes and continued as they observed an improvement in their medical condition. Of the 30 patients 21 improved significantly after treatment with cannabis. The average Harvey Bradshaw index improved from 14 to 7. The need for other medication was significantly reduced. Thus, before cannabis use 26 patients used corticosteroids, but only 4 after start of the cannabis therapy. Fifteen of the patients had 19 surgeries during an average period of 9 years before cannabis use, but only 2 required surgery during an average period of 3 years of cannabis use. Authors concluded that "this is the first report of cannabis use in Crohn's disease in humans. The results indicate that cannabis may have a positive effect on disease activity, as reflected by reduction in disease activity index and in the need for other drugs and surgery." The Czech Ministry of Health has indicated that it will take cannabis off the list of banned substances and allow it to be prescribed by doctors for medicinal purposes. "By the end of this year we will submit to parliament an amended law on addictive substances which will move marihuana from the list of banned substances to the list of those which can be prescribed,” Deputy Health Minister Martin Plíšek pledged, according to a newspaper report of 14 September. Signs are increasing that more and more Czechs are growing the plant at home in the face of the ban on legal prescription. Ministry experts still have to work out how a Czech regime for legalized sales of medicinal cannabis could be organized. Minister Plíšek said at a conference on the issue on 13 September that he would prefer to see drugs imported for Czech use rather than to grow it in the country to minimize abuse. "We must take steps to ensure that there is no massive abuse without a doctor’s prescription," he added. A cross-sectional survey was conducted by putting a questionnaire on the website of the IACM between 18 August 2009 and 31 January 2010, which was available in five languages. It was designed to determine how patients perceive possible advantages and disadvantages of different methods of intake and which methods or products they prefer over others. 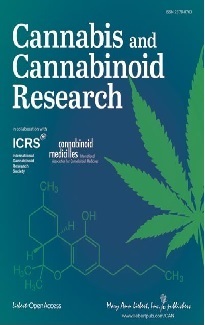 The study also intended to analyze whether perceived advantages and preferences depend on demographic parameters, previous experience with recreational cannabis use, disease, or involvement of a physician in the use of cannabinoids. 953 patients (614 male, 339 female) with a mean age of 40.7 years from 32 countries completed the questionnaire. Most participants were from the USA, Germany, France, Canada, The Netherlands, Spain, and the UK. In 47.6 per cent of all cases, cannabis products were prescribed or recommended by a physician, in 10.4 per cent patients got their cannabinoid medication from a pharmacy, in 26.3 per cent from a coffee shop or another unofficial or tolerated source. Preferred modes of use were smoking of cannabis (62.9 per cent), inhalation of cannabis with a vaporizer (23.6 per cent), oral use of cannabis in baked goods (7.9 per cent), oral use of cannabis as a tea (2.4 per cent), and oral use of dronabinol/Marinol (1.8 per cent). No significant differences in preferred modes of use were found in correlation to diseases, country or any other parameter. Results are not representative.